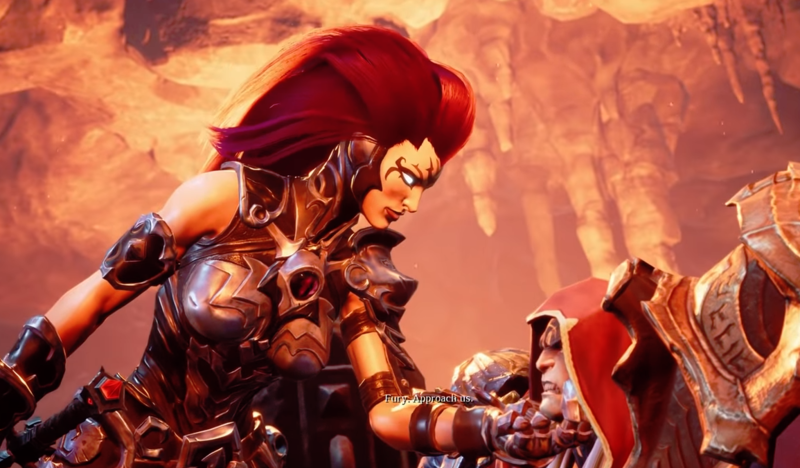 Darksiders III attempts to combine both Darksiders and Darksiders II while also being distinct. Removing the open world for more closed off areas and ramping up the difficulty helps distinguish Darksiders III but at a cost. It feels less like the previous games and will have a hard time convincing newcomers to join in. 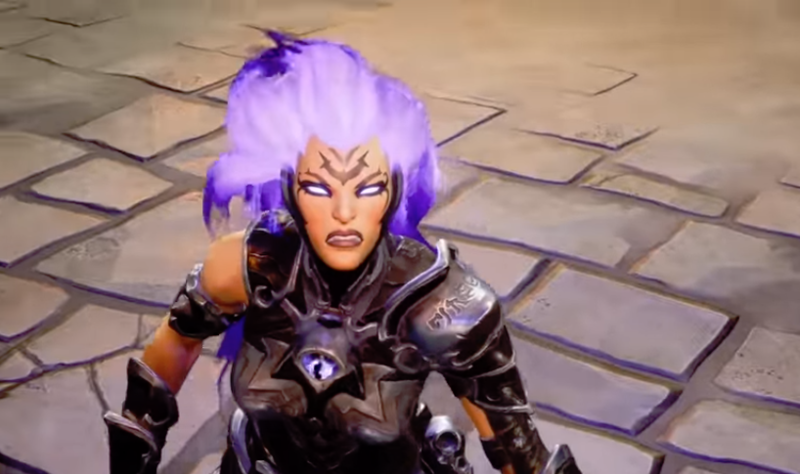 Darksiders III takes before the events of the first game but after the second title. Players take control of Fury, a lesser known warrior of the Horseman charged by the Charred Council to kill the Seven Deadly Sins. Much of the story is predictable but does fill in the blanks left behind by the previous game. Fury is not as appealing as Death but stands shoulder to shoulder with War when it comes to personality. She’s strong, violent, and extremely prideful. Looking for a reason to exist but at the same time preferring to earn her strength. Cissy Jones does a fantastic job voicing Fury and completes her persona. Other characters both familiar and unknown join the adventure such as Vulgrim the greedy merchant who still loves to take advantage of everyone’s situation. Many of these characters share Fury’s quality voice talent and give excellent performances. Their character models also share the same level of quality as the voice acting, with each one beautifully decorated. Fury’s hair especially looks marvelous. This is the hardest game in the franchise and removes much of the exploration found in the previous games. Much of the adventure takes place through a series of bland areas ranging from destroyed city landscapes, inside darkly broken factories, and underwater areas. Each section is interconnected with linear paths that limit exploration and usually teeming with enemies. Each area is populated with deadly enemies who remain a constant threat regardless of how powerful you become. The RPG elements have been reduced from previous games and limited to simple attributes that you can increase by collecting souls and story-related weapons. Fury’s tools expand from her basic chain whip to a heavy hammer and a quick electrical spear that also aid in solving puzzles and accessing color coated blocked areas. It’s fun to utilize many of the weapons in combos but for the most part, you can use your whip unless forced to change. Much of the game relies heavily on dodging. Fury can attack with heavy force but she acts like a glass cannon, unable to take more than a handful of hits before falling. Because of this Fury’s dodge does offer a small window of invulnerability but this window is often exploited by the enemies. Base enemies can attack Fury while dodging which can lead to a chain of attacks and then death. 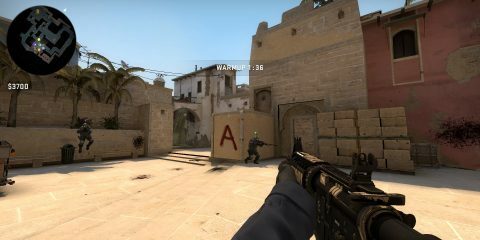 Facing enemies one at a time does help you circumvent this problem but often you are forced to engage with more than 2 enemies where they can attack mid-dodge. This can lead to a lot of unfair deaths. Bosses are much better since you often only have to attack one target. 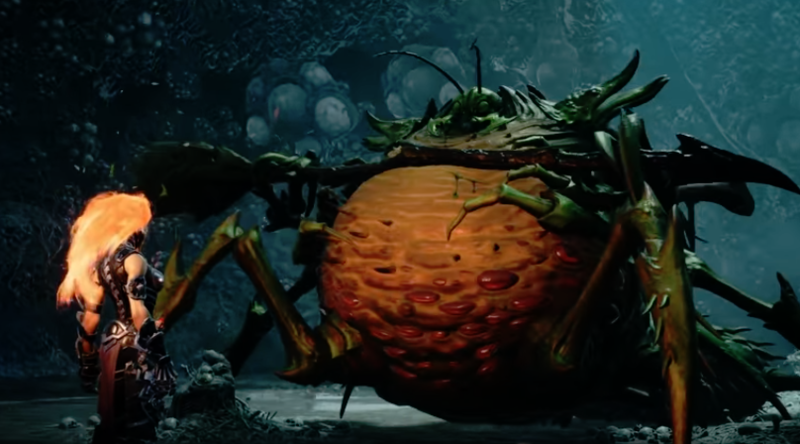 Each of the boss battles is incredibly crafted with the character models particularly well-done to complement their sin. This is where Darksiders III shines, the choreography of each fight makes much of the tedium leading up to these fights worth it. When you’re not fighting you’ll be solving puzzles. Like in the previous Darksiders they’re simple but here they’re overdone. Many levels are teeming with mediocre puzzles that range from trial and error to time limits. None of them require critical thinking skills, which wouldn’t be a problem, but there are so many of them that they break the sense of momentum. These aren’t terrible puzzles but the sheer number of them can become annoying. During multiple sections, I was forced to stop and solve another puzzle to move a few feet. Fast travel is available to make the journey much easier but since exploration is limited and leveling confined there was little need to find hidden gems like in War and Death’s adventure. Darksiders III has some incredible moments, the issue is that you’ll have to endure a lot of monotony to get to these. 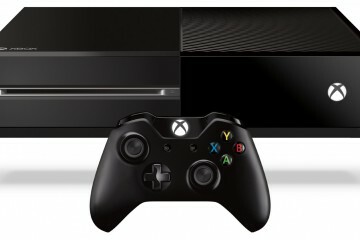 Fans of the original games may be able to forgive many of the glaring issues but newcomers won’t be as lenient. Fury’s adventure is full of ups and downs combining moments of utter excitement with periods of tedium and that’s where the experience starts to fumble. 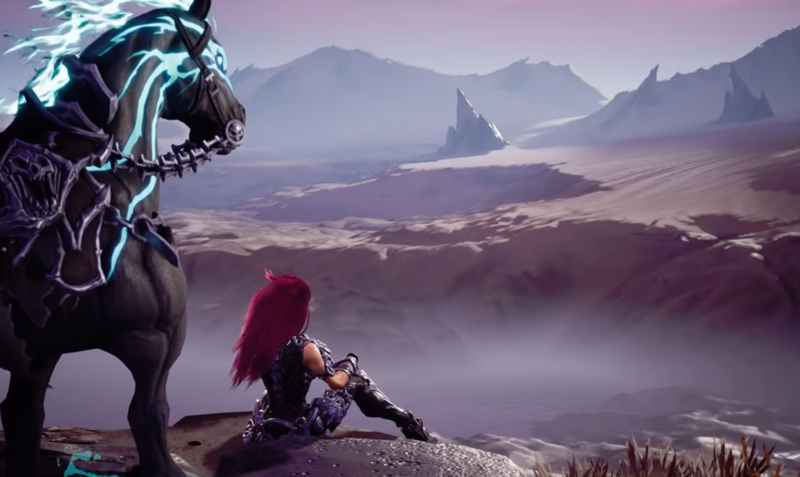 Darksiders III won’t win over new fans but those seeking a challenging action-adventure title should give this one a chance.